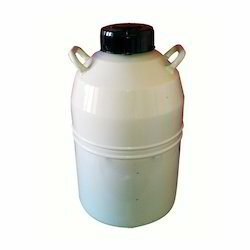 We are a leading Manufacturer of cryo can & container, cryo container, cryo can container and dura cylinders from Mumbai, India. With sincerity and hard work, we have carved a niche for ourselves by manufacturing and supplying a wide range of Cryo Can & Container. The product offered by us is manufactured under the direction of experts using top-notch material & modern techniques in adherence with the industry norms. Offered product is accessible on different specifications in accordance with the customer's requirements. Our product is well checked from our side in order to deliver a flawless range in the market. Being a prominent firm of experienced professionals and using the latest technology, we are affianced in offering Cryo Container. The container offered by us is checked on numerous parameters so as to deliver a defect free range. We manufactured this container using premium grade material and progressive technology in tandem with set industry standards. Also, our container is known among customers for its long operational life. 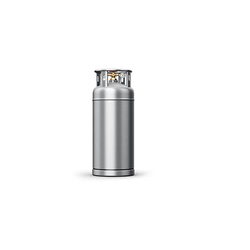 Riding on unfathomable volumes of industrial expertise, we are offering an extensive range of Cryo Can Container. Our offered product is manufactured using cutting-edge technology & finest components keeping in pace with industry norms. We are giving this product on numerous specifications so as to meet the needs of customers. As well, this product is acknowledged in the market for its reliability & less maintenance. We manufacture a comprehensive range ofindustrial dura cylinderswhich are vacuum insulated and allow storage of the following cryogenic gases at a very low temperature ranging from -183 deg C to -196 deg C.